and a communion between people, food and nature. 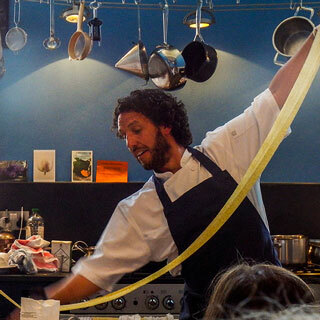 in our bespoke cookery school. 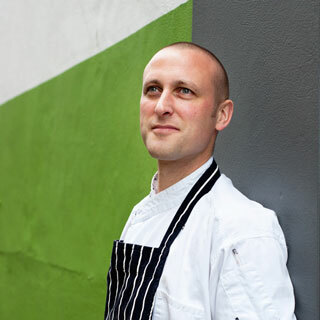 ...of wild food and cooking and a coming together of people to enjoy the outdoors, to create fabulous food from nature’s humble ingredients and to eat together in great company. 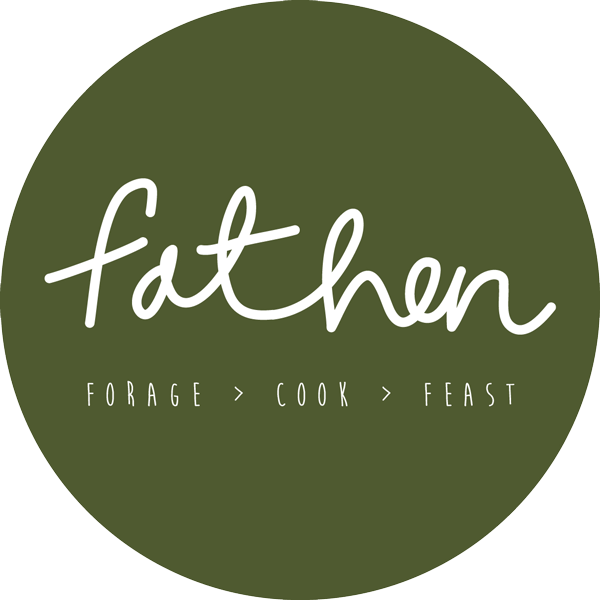 Fat Hen was established in 2007, by Caroline Davey, and has been an evolving project with it’s central aim of breaking down the barriers between the kitchen, the outdoors and the dining table. Caroline works alongside talented chefs to create fabulous dishes showcasing ingredients sourced from the wild. 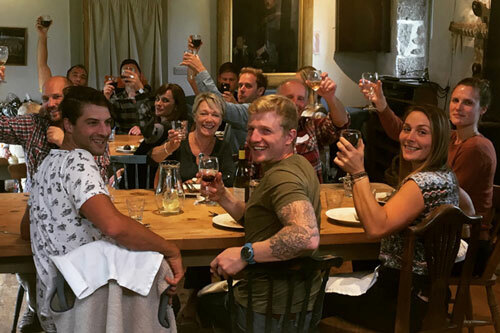 Fat Hen has been chosen as one of the top ten best foraging courses in the UK by Countryfile Magazine and has been chosen by the Telegraph as one of 10 incredible holidays that offer a true taste of a destination. 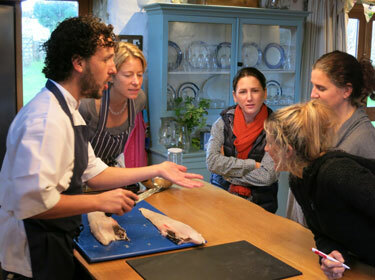 The National Cookery School Guide has also chosen Fat Hen in its top 50 cookery schools in the UK. Fat Hen is also the vernacular name for (Chenopodium album). Fat Hen was once an important staple crop 2,000 years ago, with the leaves being used like spinach and the seeds providing a nutritious grain. It is still cultivated in northern regions of India but treated like a weed nearly everywhere else. 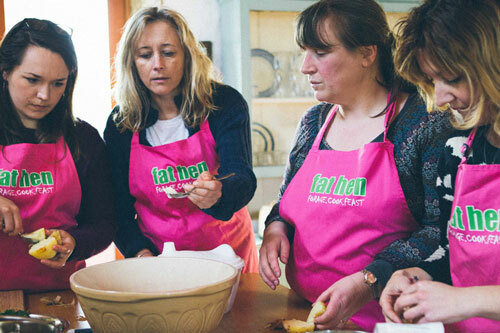 Fat Hen is one of many wild greens we use on our cookery courses. 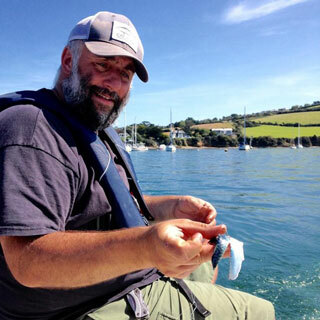 This course is for serious food lovers who want to treat themselves to real foraging in all of West Cornwall’s wild landscape. 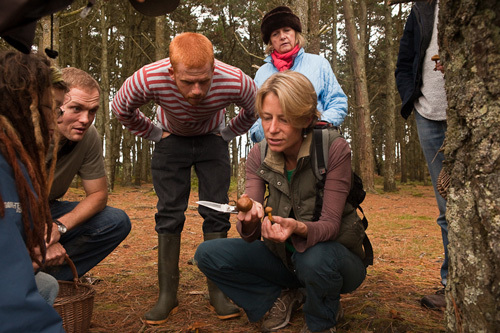 Designed for anyone who is inquisitive about wild food and foraging, aimed at adults but open to all. Thank you so much for a wonderful day today – Lance and I enjoyed every minute.